Sometimes on the golf course you’re required to navigate a treeline or attack the pin from a different angle, which means you have to know how to shape golf shots. When you work shaped shots such as a draw or a cut into your skillset, you add a whole new dimension to your game. Avoid hazards, utilize different parts of the green, and get out of jams — these are highly versatile shots we’re talking about. 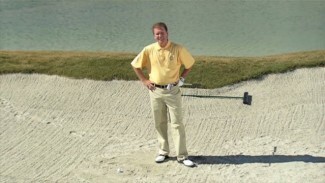 In this lesson, PGA Professional Kip Puterbaugh demonstrates the unique movements required to hit an accurate shaped shot, and introduces some simple technique drills you can work into your training regimen that will help you learn how to shape golf shots with proper form and mechanics. Kip begins teaching you how to shape golf shots by discussing the purpose and mentality of hitting shaped shots such as a draw or cut. When players who are just starting to add shaped shots to their game take a lesson with a PGA Professional, most instructors will tell them to focus on one concept: hitting the ball from the inside. Kip will show you what exactly that means and explain how your ball flight is affected when you come at it from either the inside or the outside. 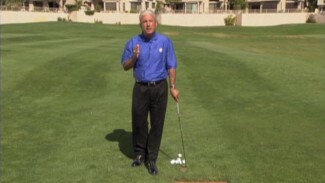 Once you have a good sense of the reason you’ll use shaped shots on the course, you can start learning how to shape golf shots by practicing a simple drill that trains your swing technique and posture. Kip shows you how to utilize a sort of obstacle course around your ball to get a good feel for the kind of swing you need in order to hit a flush draw or cut. The proven concept of inside-out and outside-in is hugely important in learning how to shape golf shots, so make sure to pay attention to your swing arc. Create your best shaped shots on the range, and see how much your game improves from adding this essential skill to your bag.